I haven't been a very good blogger this year. It's not that I wasn't busy doing lots of fun stuff, but a few things kind of got in the way and stole my blogging "mojo" for a while. So, while I usually do an end of year synopsis that includes all the stuff I blogged about during the year, this year, I'm going to post here about some of the things I didn't already post about and put all the last half of the year into one post - so I'm warning you now, this will be long and picture heavy! In mid-May we went home to Connecticut to see my family. We were so lucky that the weather was nice for our trip and we got to experience some of the beauty of the bike path in Cheshire. 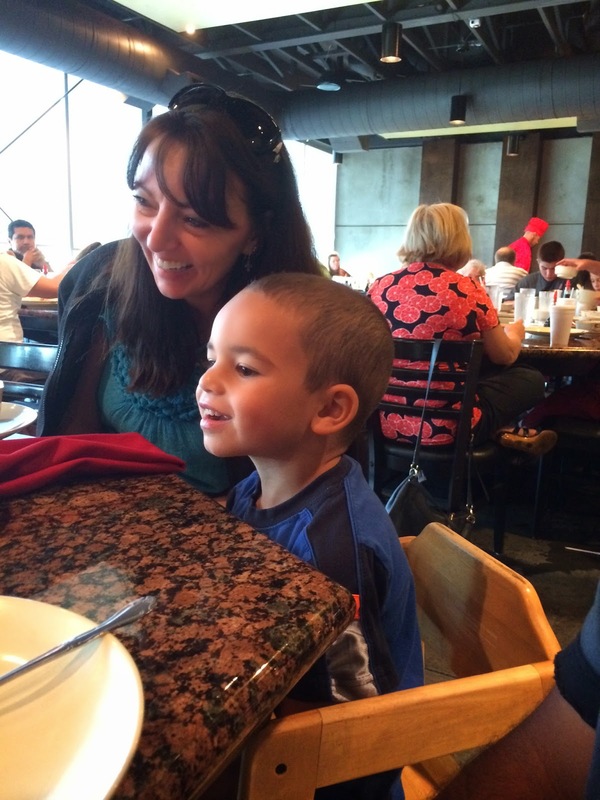 Here I am with my sister, Amanda; and my cute nephew, Joao. We even squeezed in a trip to NYC and had fun seeing the sights and doing some shopping. 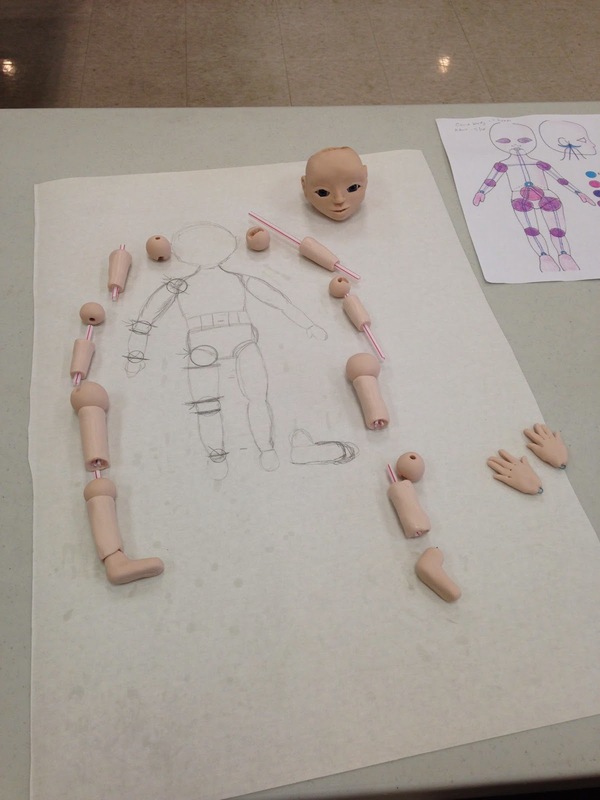 At the end of May, our Doll Club hosted Jessica Hamilton and Paula McGee, two fabulous teachers. 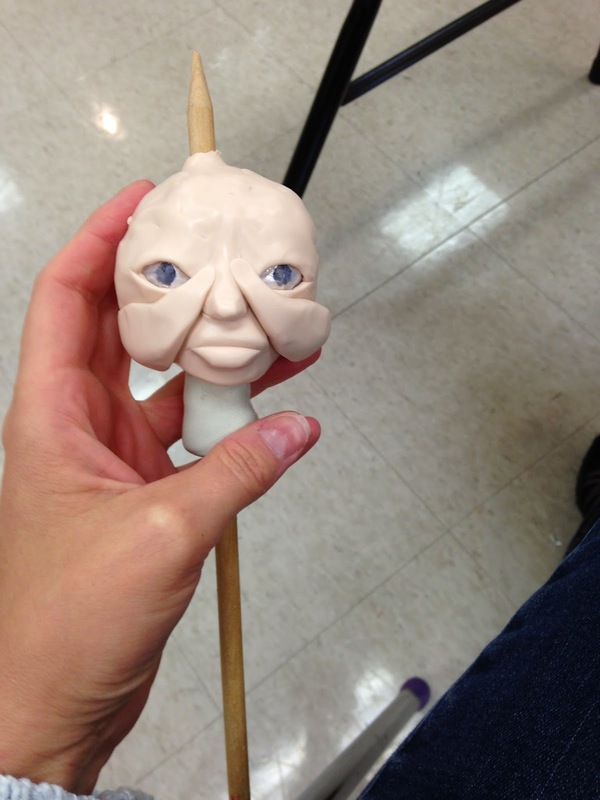 I ended up taking the class with Jessica Hamilton since I wanted to learn how to make a ball jointed doll. The picture below is my face in its initial stages - kind of ugly, I know. Here she is all put together but without any clothes or hair as of yet. 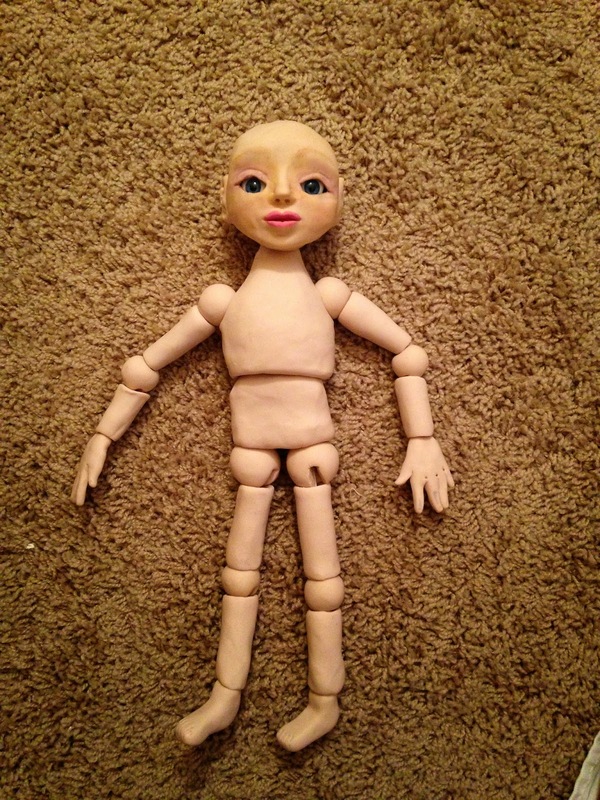 For my first ever ball jointed doll, I think she came out pretty good. At the end of the summer, just as we were moving back into the house after all of the construction, we had some visitors! My sister and her family came for a few days and we had the best time. We ate at Osaka, the hibachi restaurant one evening and that was lots of fun. We spent several nights at the pool staying right up until closing. The first night, we stayed past closing time and actually got ourselves locked in! We had to call the homeowner's association and luckily Doug came and was able to let us out with a special key through the clubhouse. For a while, we thought we were going to have to spend the night sleeping in the pool chairs. :) It was a good lesson to be out of the pool, packed up and ready to go. It was a fun, fun week filled with lots of activities and I was very sad when it was time to say goodbye, and send them back to Connecticut. 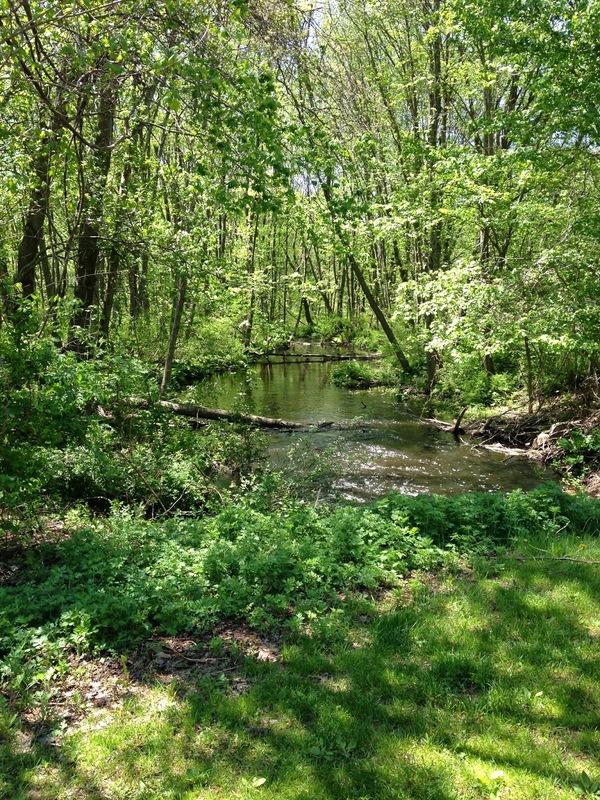 I had big plans for my yard this year but they didn't come to fruition with all the other stuff that was going on. 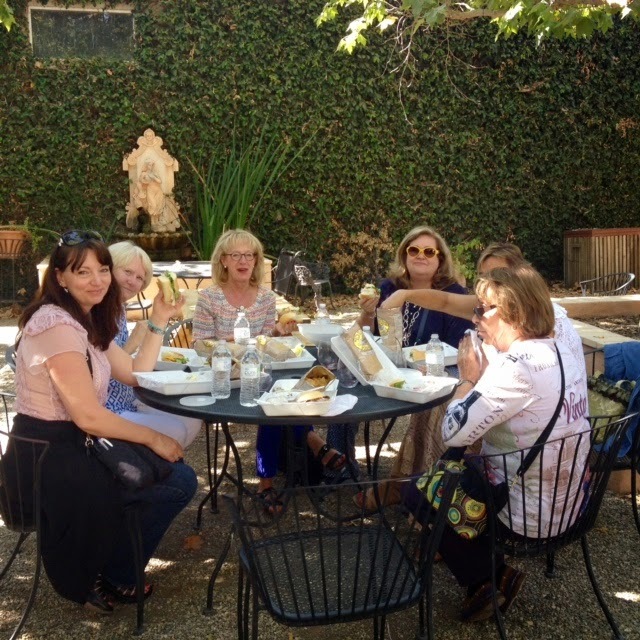 At the end of September, my investment club took a trip to Santa Barbara. We rode the trolley and walked, and walked, and walked. and had a *little* too much to drink. It's okay, we weren't driving - we were on our own private bus. 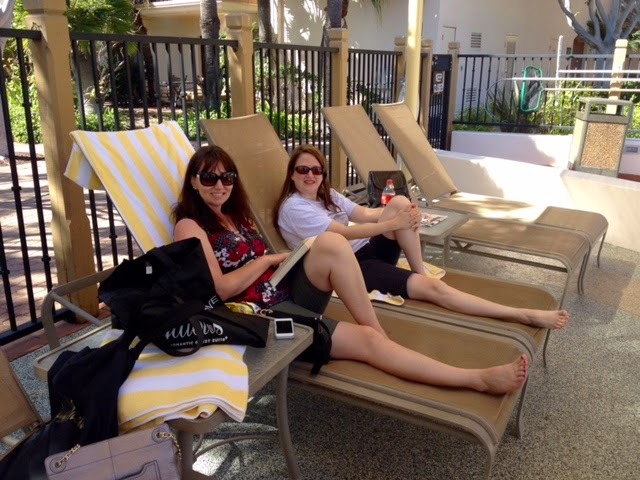 We even had some down time by the pool, relaxing, reading books, and just enjoying each other's company. 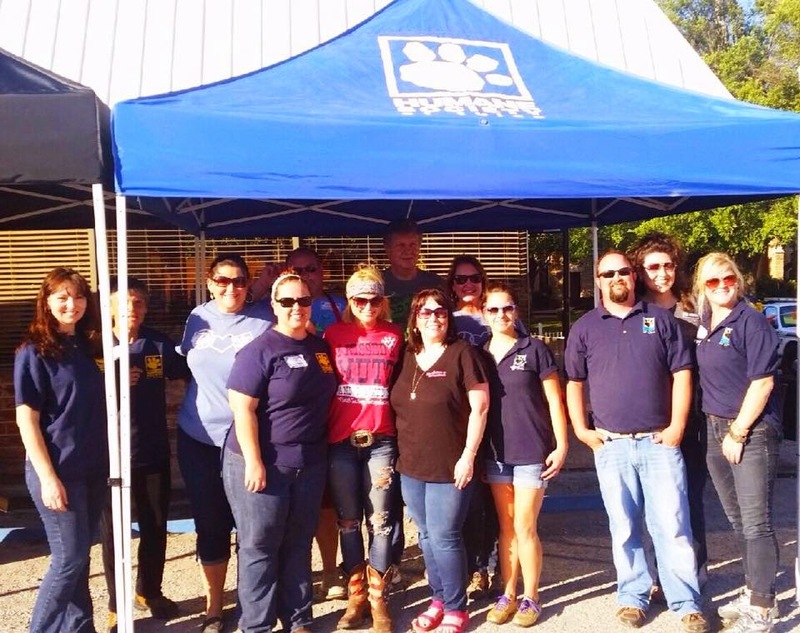 I volunteered at a few events for the Humane Society of Tulsa. We hosted a BBQ fundraiser and then an adopt-a-thon. Lots of hard work but I loved every minute of each event. Miranda Lambert even made an appearance! 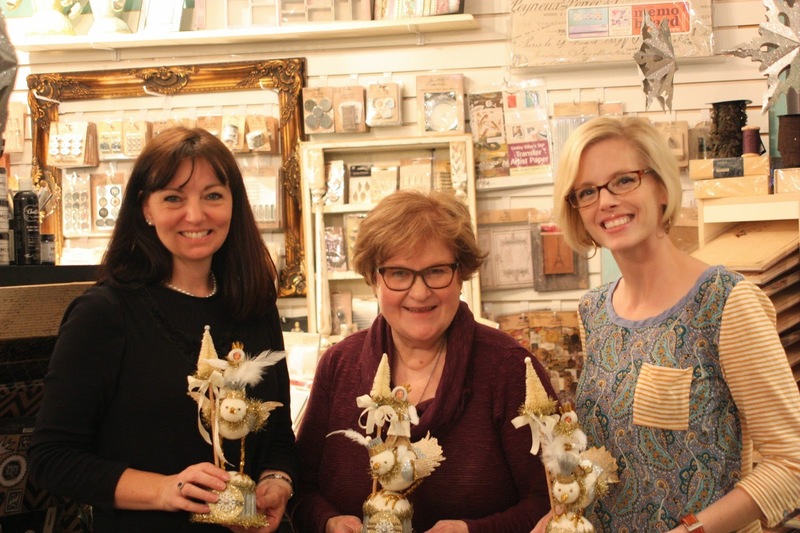 The next two pictures are from Good Grief Girdie's blog - we took a class from Lesa Dailey at Paper Crown and had a great time. And the same weekend was Glitter Market and I was a vendor for the first time! Before I knew it, Christmas was here and gone, and now we are gearing up for another New Year. I'm looking forward to 2015 - how about you? hi Lisa! Im glad youve had some fun times this past year. 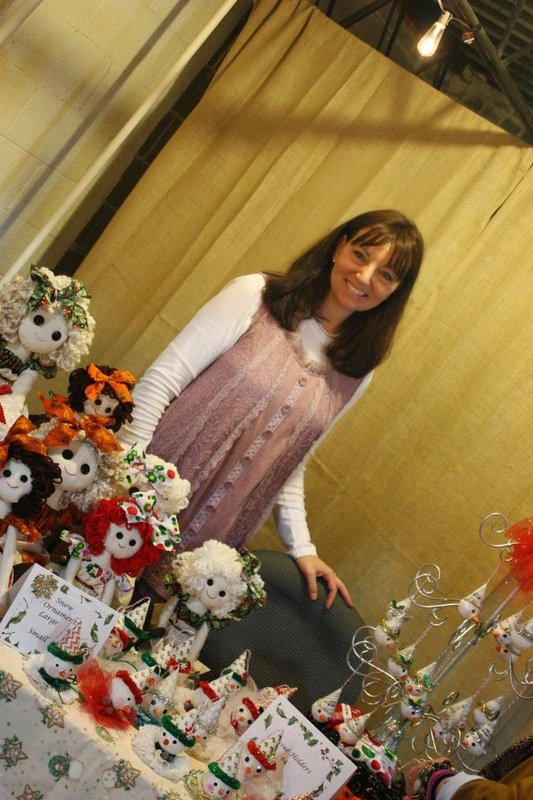 I so wish we could have pulled that crafty weekend together. I never even got to my aunts cottage this summer or fall.. She sent me a message a week or so ago saying I should come see her after Christmas. but theres too much going on now.. no time! anyways.. one of these days we shall craft together! I cant believe we're about to start a new year.. wow.. time flies. So heres to a new year full of creativity and new adventures! Lisa, it looks like you had a great year! Isn't Lesa Dailey the sweetest? I am so ready for the New Year. Hope you have a wonderful one! Happy New Year Lisa! It was fun to read about your busy year and see your smiling face. I haven't blogged as much as usual this year, either -- but I am still committed to it! I hope we get to see each other in 2015! So glad your back to blogging! I have missed you! Hope to see you more in OKC in 2015! Happy New Year dear friend! A very nice and interesting blog post and the pictures you have shared have made it much more interesting. Keep sharing with us! I am glad that you had a productive year throughout. I really liked the cartoon you made its so funny and its really good to spend time with your family because you will have beautiful memories for whole year ahead.